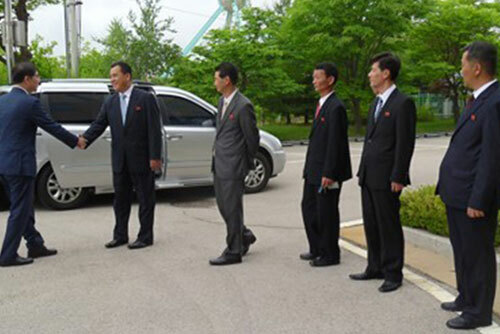 The two Koreas' joint liaison office in North Korea's Gaeseong Industrial Complex is set to open on Friday. The Unification Ministry in Seoul said Wednesday that a ceremony to mark the launch of the communications office will take place at 10:30 a.m., with 50 to 60 people from each side expected to attend. 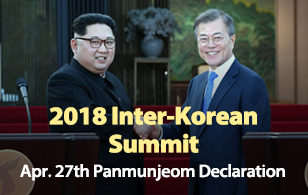 During the ceremony, South Korea's Unification Minister Cho Myoung-gyon and the chairman of North Korea's Committee for Peaceful Reunification Ri Son-gwon will sign an agreement on the organization and operation of the liaison office. From the South Korean side, Vice Unification Minister Chun Hae-sung will be in charge of the two Koreas' weekly meetings and other negotiations, while the vice chairman of the Committee for the Peaceful Reunification from the North will be his counterpart. According to officials in Seoul, the joint liaison office will become a round-the-clock consultation and communication channel for advancing inter-Korean relations, easing military tensions and establishing peace on the Korean Peninsula.